There are days I wish I could just push a button so dinner can magically appear on my table. Since this is not possible I'm always looking for recipes that are easy and doesn’t take more than 20 minutes. Sliders is one of those things that are perfect for any occasion. I love serving them at parties and kids love them because of their size. I personally love sliders because it helps me gain control of my portion sizes. 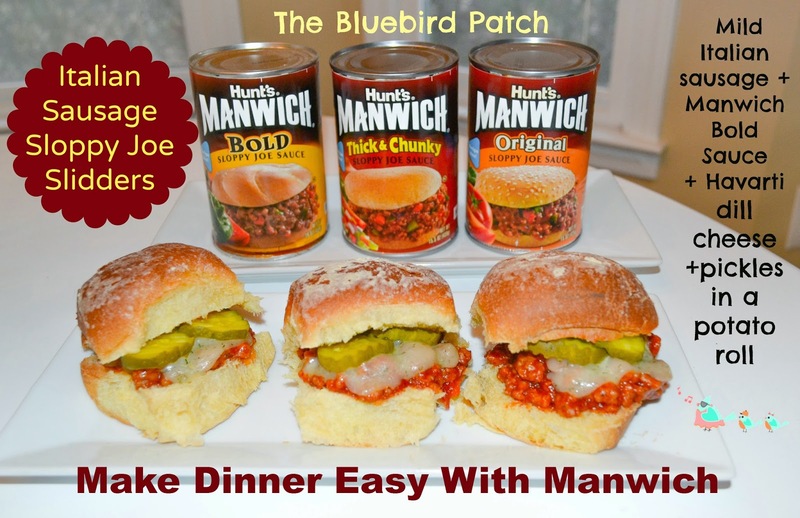 Manwich has 3 different canned sauce varieties original, Bold, and Thick & Chunky and a refrigerated pre-made sloppy joe mix that are great not just for sloppy joes but just about everything you can imagine. 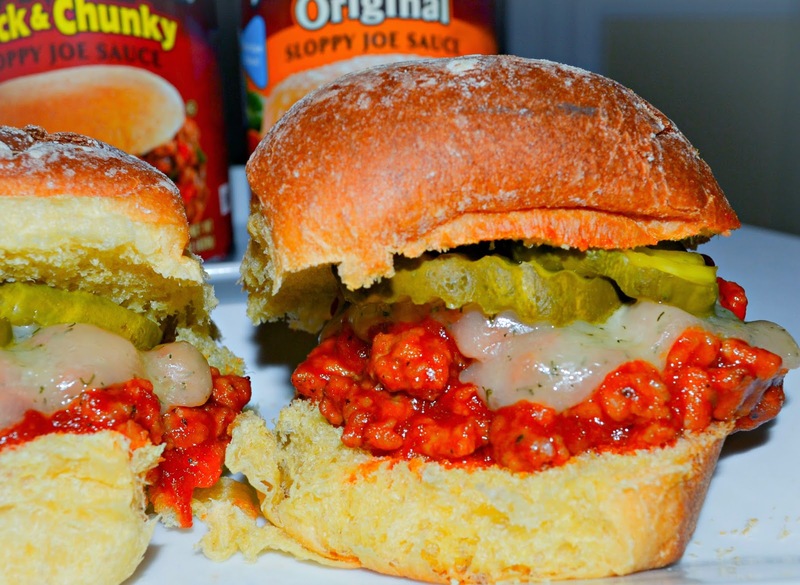 There is NO meat in Manwich cans – Manwich is a tangy sauce perfect for sandwiches, pastas and more. You can even use it to make chilli, meatloaf, and chicken wings! It can also work well in meat-free dishes, like this recipe for Vegetarian Sloppy Joes. The kid-stopping power of Manwich makes meals a messy-licious treat to be enjoyed with both hands – giving moms and dads an easy, quality ingredient to bring the family’s attention back to mealtime and away from everyday distractions. Plus, each can of Manwich is free of artificial flavors and preservatives, and offers a full serving of vegetables. 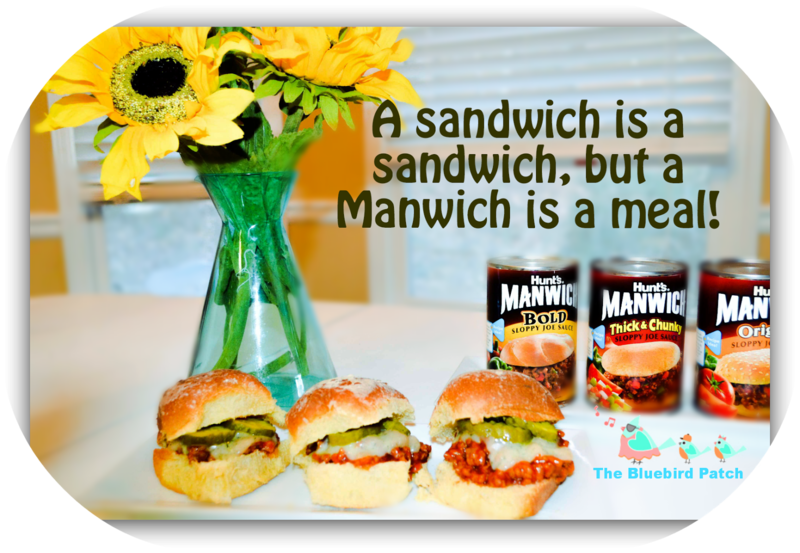 Find Manwich® varieties at your local grocery store. Or try all four, if you want! Also make sure you check out Manwich Recipes and Manwich TV Ads for some inspiration!